I recently visited Federación Campesina del Cauca (FCC), a cooperative located high in the verdant, rolling hills of Cauca, Colombia. FCC has been a part of the Sustainable Harvest® supply chain since 2005, and recently its members have been hard at work preparing for the coming harvest season and enjoying the nascent fruits of their recently renovated coffee trees. With steady rainfall over the last few months, trees both new and old at FCC are thriving and enjoying healthy cherry development. The first ripe cherries will mature this month, and they’ll continue ripening until FCC’s main harvest season concludes in July. 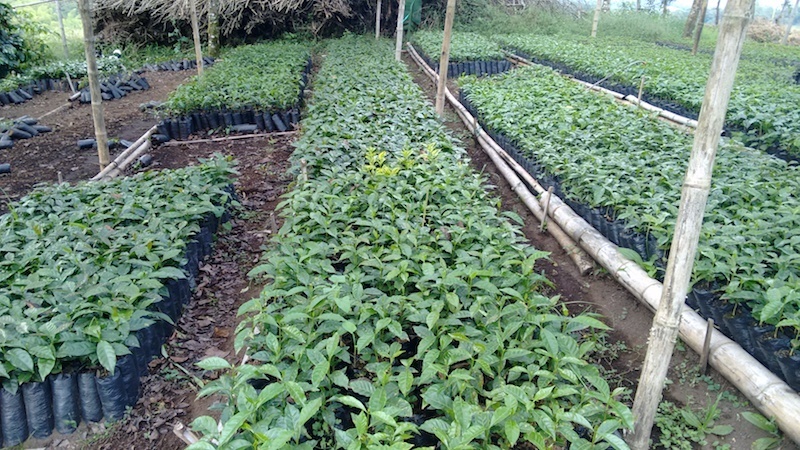 Many of the co-op's members made the decision to renovate their coffee plots as an investment in their future, as it will increase FCC's capacity as well as provide its members some protection against plant disease. 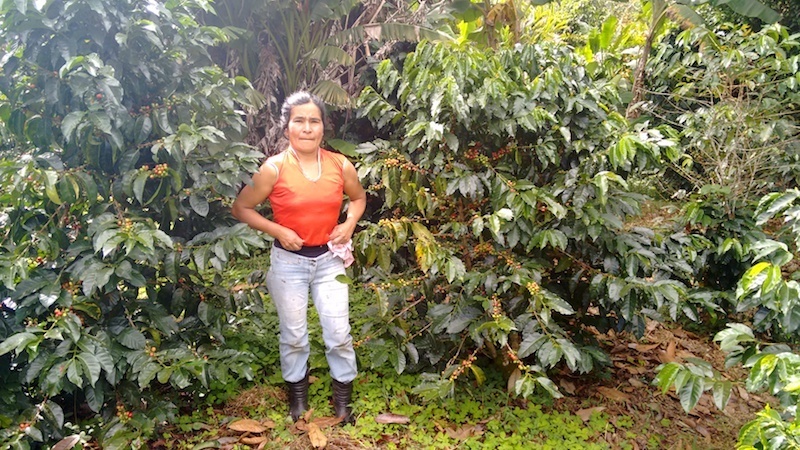 In addition to producing primarily Caturra and Colombia F6 varieties, much of the renovated areas for FCC are planted with Castillo Tambo, a more recently developed disease-resistant variety. Colombia’s excellent benefit of dual harvest seasons in most of its coffee-producing regions. In addition to its main harvest season that typically takes place between March and July, Colombia has a “fly crop” smaller harvest (also called mitaca, which means mid-year in Spanish) from October to December. FCC’s enterprising members are taking advantage of this geographical advantage to make their coffee available throughout the year. FCC was founded in 1971 and comprises 724 members—30 percent of which are women—from six municipalities in Cauca Department: Popayán, Piendamó, Cajibío, Rosas, Timbio, and Morales. Farmers at FCC have an average of three hectares of land, on which most grow about one hectare of coffee. FCC’s member use the remainder of their land to grow products that result in additional income and food for their families. Certifications are important to FCC, with the cooperative producing fair-trade and fair-trade-organic coffees in addition to conventional offerings. In the cup, FCC’s coffees are balanced, sweet, and fruity, with citrus notes, a medium to medium-high acidity, and a medium-heavy body. This memorable coffee from FCC’s hardworking farmers in the beautiful mountains of Colombia is sweet and delicious in the cup. 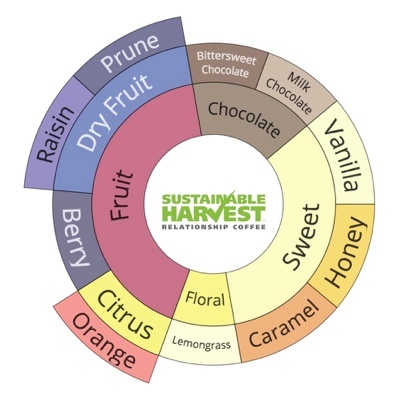 For forward booking or to request a sample, email trade@sustainableharvest.com today!